The Phoenix Turkey Trot 5K starts at 8:30am. The race-day venue will be in the south parking lot of Wesley Bolin Plaza in Downtown Phoenix. Here you will find race-day registration, bib pickup for pre-registered athletes, our official food bank taking donations, awards tent and post-race snacks. 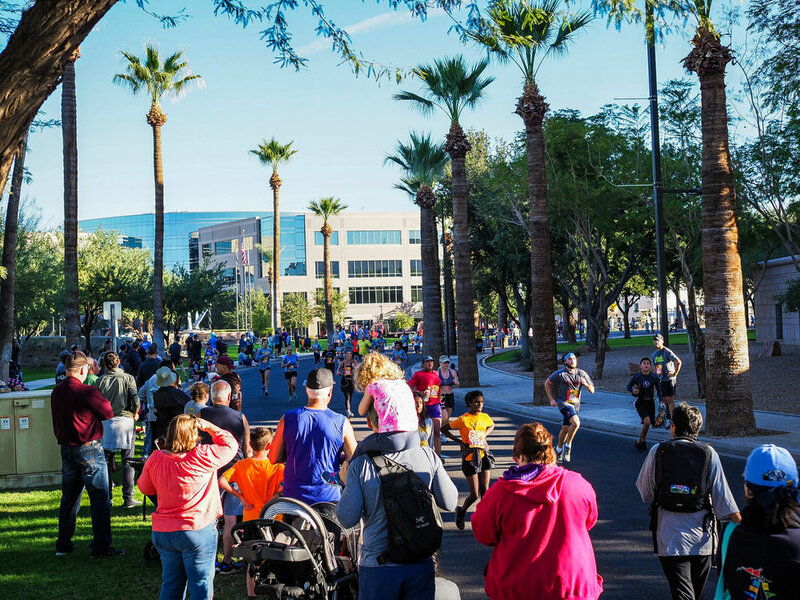 The Phoenix Turkey Trot 5K is open to all ages and abilities. Have fun with the family by running, jogging, or walking the easy course and enjoy the famous cranberry and pumpkin pie aid stations!